Which portable chargers support Pass Through charging? There are widely conflicting reports as to which PowerCore and Astro portable power banks support pass-through charging. This being the ability for the Anker power bank to power a device, while the Anker unit is itself charging or at least plugged in. Many Amazon reviews have posters saying it works, and others saying it doesn't. Has this feature been removed from all Anker portable chargers? I know that my PowerCore+ 26800 does not. However, I believe that some of Ankers power banks support pass through. I'm sorry to say that I'm not sure of which ones. @AnkerSupport maybe you could help him out? @mman454 In regards to your question, we actually made the decision to remove this function from our portable chargers. When pass-through charging, if there is a difference between the output of the wall charger and the input of the device being recharged it can cause the portable charger to rapidly power on and off. This increases charging times for both the portable charger and your device, risks causing damage to the battery cells and can significantly shorten the portable charger's lifespan. Hopes it help and please let me know if you need any further help. Fusion is pass thru surely? I'm not a big fan of pass thru. One my other brands was a high end and and it was plugged into the car and then into my phone. It nearly burned out the device and phone. As Anker says the stuff I found says no as well. So.e of the earlier products might have it. But I wouldn't use it. 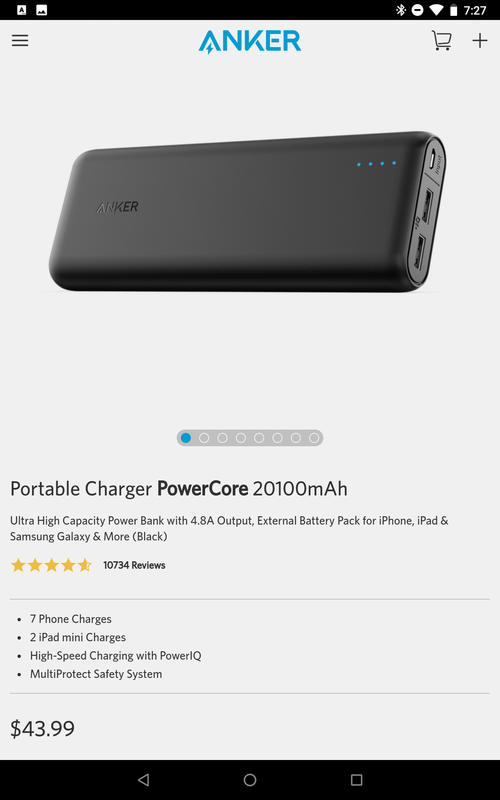 If Anker doesn't like pass thru charging I don't either. I'm getting a second charger so if i forget to charge one or need an extra charge I have one and don't to charge on the hub when i need it. So I understand the disadvantage of the passthru. 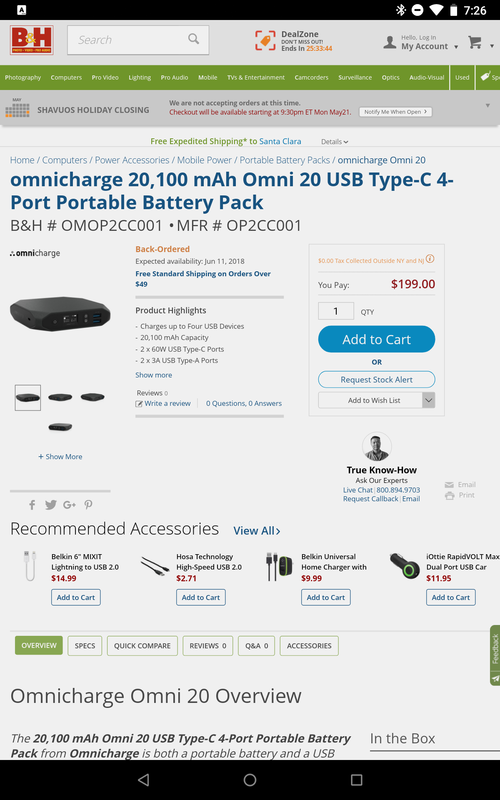 But if I have a PowerCore+ 26800 plugged in for charging the battery, and I have a device plugged in, which is "active", battery charging the powercore or charging the device? Yes, the fusion is pass through. Kind of, I can't remember the sequence but I think you have unplug replug to make it work in some situations. Wouldn't it be as simple as to sense if there's ENOUGH or none power at the powerpack input, so a relay (or solid state circuit) switch the pack output to the device being powered to be powered from the pack, and the power input disconnects. By the same token, when there's power, it'll disconnect the pack conection to the device, and the charger will power both the pack and the device? That's in essence what we do manually with the pack; when there's energy available, i power the device AND charge the pack with the charger (well, there are two chargers, one for the device and one for the pack, but a powerpack charger can integrate both), so when there's no power available for the charger, I power the device with the power pack and disonnect it from the charger. I have the need to power a wireless camera/cellular hotspot combination that has an unreliable supply of energy, so the solution I HAD to install is a small UPS to power the camera and hot spot adapters, instead of a dual output pass-through powerpack that may be a more elegant and cheaper solution. They aren't saying it's not possible... They chose to disable the feature. we actually made the decision to remove this function from our portable chargers. When pass-through charging, if there is a difference between the output of the wall charger and the input of the device being recharged it can cause the portable charger to rapidly power on and off. This increases charging times for both the portable charger and your device, risks causing damage to the battery cells and can significantly shorten the portable charger's lifespan. You need it for $150 more? One place it would really help is with solar charging, for example when camping. I could leave the solar panel connected to the charger input while still charging my phone. I've found that my phone will draw from the solar panel at the lowest current it sustained and not try to increase, so if a cloud passes over I lose out on how fast I can charge the phone. I can charge from the power bank which will maintain consistent output, but with the solar panel disconnected I'm losing out on potential benefit from it. On cloudier British days it can take a long time to collect enough energy to make up a phone charge never mind phone and camera, with my supposedly 15W panel only giving 1W or so. I camp in UK and use Solar, but only on the longer ~ 1 week long because a solar panel weighs the same as 20000mAh battery, so in a shorter trips you're better off carrying more battery than a solar panel. In a sufficiently long trip eventually batteries are exhausted and it shifts to worthwhile carrying solar. Pass-thru doesn't help. You can get the same benefit using a dual-socket solar panel to make good use of brighter sunny times. PowerCore Fusion charges itself and other devices from any AC outlet. It first charges your device then recharges itself (in 2.5 hours)—ready to be taken on-the-go. Sorry to hear that Anker battery packs DO NOT support pass-through. Most "solar-ready" battery packs DO offer pass-through charging. It means more advanced overhead circuitry to manage the flow of electricity, so the battery packs are a little more money. But, if you want to charge your device while your battery pack also charges, it is worth it. In solar applications, when the charging rate of the solar panel fluctuates with daylight intensity, you can have the solar provide what it can, and have your battery pack make up the difference in order to achieve your device's maximum charging rate. The circuitry will prioritize your device (phone, tablet, etc) over the battery pack itself typically. Note that this won't make the combination of your device & battery pack charge faster... the max input charging rate of the battery pack is still the governing factor for solar input (your device may charge at its normal max rate from the battery pack). However, your device will always be getting the benefit of battery support at all times. And you can take advantage of charging sources more easily.